✦ Author of 12 IT books & the worlds first NoSQL books. NoSQL Consultant. ✦ Head of Data Science Master and founding member of the Data Science Lab (Twitter). ✦ Member of the National German Competence Center BBDC for Big Data. ✦ Running #1 nosql resource: nosql-database.org & the Big Data Meetup Group Berlin (2012-2017). I have a sabbatical this summer 2019! The BLOCKCHAIN Project website houseofblockchain.org is published! again under the top 25 lecturers (out of 374) of the VFH! PABlo Blockchain was present on the Future Mobility Summit represented by Prof. Dr. Heike Hölzner. German Masters in Chess (Family rating) place 34. Applications for our Data Science Master is now open. PC and Organization Member of Germans biggest Clojure Conference again. Master thesis leading to the worlds top messaging web framework Connectanum. Successfully co-organized Distributed Matters Berlin with 200 visitors. 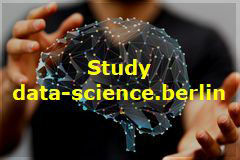 Announcing the next Big Data Meetup Berlin on Deep Learning and Machine Learning here. Had a decent match with GM Arik Braun (WM U18) and scored 50% in a huge Berlin chessclub championship while still able to make a sub 3h olympic triathlon (finish). Successfully ran the biggest German Clojure conference with >150 visitors. Track Host of the NoSQL / Big Data Track and Co-Host of the Language Track at GOTO Berlin 2014! My Craft Talk (April 2014) is on InfoQ. Big Data Meetup #15 with Dr. Michael Hausenblas on "Lambda Architecture with Spark"
Announcing a Clojure Conference :clojureD in Jan 2015! Run a Recommendation / Impala Meetup. Awarded Teacher of the Year 2013 / 2015 top 25 out of 253 teachers at VFH. Organizing NoSQL Matters Conference 2013 Barcelona in Nov.
Part of the EUROCLOJURE 2013 Berlin Organization Team. Organizing and PC Member of GOTO Berlin 2013 Conference. Mentioned on CIO Magazing on Realtime Analytics. Leading a podium discussion with Martin Fowler, Simon Willnauer, Martin Schönert, Tugual Grall, Lars George and Pavlo Baron. Giving a talk at NoSQL Matters "NoSQL in 5+ years"
Organizing NoSQL Matters Conference 2013 Cologne in April 26./27. Won the title "Teacher of the Year 2012" (3rd Place) in the VFH. 564 students voted for 315 teachers in 10 Universities of app. sc. Video (in German) as a result of the work in the Inno-Lab. Top Article on infoQ: "The State of NoSQL"
An interview with Chris Anderson (CouchBase) is published by GOTO. An interview with Ian Plosker (Riak) is published by GOTO (zero preparation time). Guest Interview for the CEO Journal. Organizing the GeekNight II in Berlin on 12th of June. The second edition of the worlds first NoSQL Book is out!! Giving a NoSQL Talk at ODSC 2011 in April. Member of the Jury Board "Initiative Mittelstand 2011". Giving a NoSQL Talk at OOP 2011 in January. ICOODB is now completely listed on DBLP! ICOODB 2010 was in Frankfurt 28.-30. September @ Goethe Uni. More information here: icoodb2010.org and on icoodb.org [pdf]. Material can be found here. ICOODB 2010 will have a NOSQL Workshop on 28th Sept [pdf] organized by me. Tutorial, Workshop and Demo Chair on ICOODB 2010. I am organizing the Industrial Day at ETH Zürich for ICOODB 2009. YouTube Video+Slides from ICOODB 2008 initiated & organized by me and James Paterson. Giving a Java User Group Talk on 7.12. about NoSQL. Currently over 110+30 visitors. Short Video here. Technical Editor (NoSQL) for Wiley & Wrox since 08/10. Will give a ligthning talk at the MongoDB event in Berlin. Interviewed Hypertable CEO Doug Judd for database pro. Being interviewed by the British company Prospectus about NoSQL. Our Software Engineering Blog been taken into the Top #50 Engineering Blogs. Featuring BerlinBuzzwords.de NoSQL Conference by Isabel, Jan and Simon via Database Pro. And visiting it f'sure. Giving an invited talk at LMU (Ludwig-Maximilian University München) about NoSQL in may. Giving a "NOSQL Database" talk in Berlin 18.11. @ Beuth HS. Launched a NoSql-Portal that jumped #2 in Google. Gave a talk on the NOSQL Event in Berlin (22.10. incl. Videos) [1, 2, 3]. Interview from DATABASE PRO about Cloud Computing. DZone article published (10:0 votes). Assembeled the the cloud session 3 on DATACON. Member of the DATACON 2009 Advisory Board. See the Program PDF. I published the Dzone Reference Card Nr.53 about db4o. 2008 ODBMS.org interviewed me about the impedance mismatch [pdf]. 2008 Program Committee of the Electronic Imaging Conference EI122 USA / CA. 2008 I was invited to contribute Booktips at Lehmanns VIP tips. 2007 Constantly contributing to this Software Engineering Blog. 2006 Two times dVP award by db4objects Inc.
2006 OCG Persistence Event with Jürgen Höller (Spring Source), Werner Guttmann (Castor) and me: Photo1, Photo2. 2006 Talk at ETH Zürich for the JUGS (Java User Group Switzerland) hosted by Prof. Dr. Moria Norrie: Photo1.